The earth can be broken down into land and water. The sky can be broken down into stars, clouds, sun, and moon. Can you imagine what the sky would be like if there were no clouds? Well, in this lesson the students will investigate to see what a plant would be like if a part was missing. The student will recognize the importance of each plant part. The student will recognize that each plant part is necessary to make the plant. The student will work cooperatively in groups. The student will graph the missing plant part. A Variety of Real Plants (No Potted Plants) Try to get some that have roots. You will need enough for each group. Pull a part off of each plant. Missing Plant Part Graph: Download an Example Here. 1. This is one class teacher-made pictograph. See example below. Spark the children’s interest by showing the picture of a bike with a flat tire. Ask this question: “What do you know about a bike and a flat tire?" Record their responses on a smartboard or whiteboard. Ask the students for evidence that supports their responses. This should lead into a conversation that connects the contribution of the tire to working bicycle. Once the students come to this realization, then show them a plant that has a missing part. Let them tell you what they know about this plant. Divide the students into groups of two and give them time to brainstorm how the plant would be effected with a missing part. The students should work together to record responses and evidence to support their thinking on the dry erase boards. When finished, each group should go to the Class Graph and color in the appropriate box that matches their missing plant part. Pull the students back together and allow each group to share their thoughts. Record answers on the smartboard or whiteboard. This activity entire activitiy should take about 20 minutes. Assessment: During the investigation, the teacher will monitor to see if the students are able to understand and demonstrate that the missing part might change its structure, its ability to get what it needs, or even cause it to die. Overall, they should be able to recognize that all of the parts are needed to complete the plant. Students love working together. It provides support for those students who need it and it also allows those more confident to assume a leadership role. When students work together they are able to share a wealth of knowlege with each other. 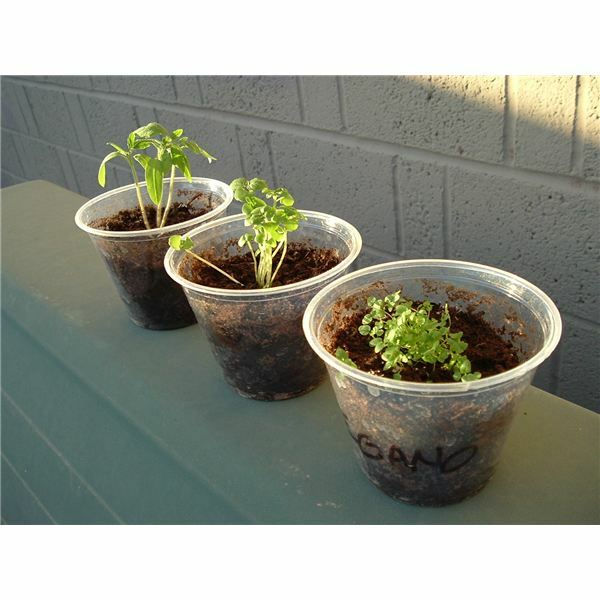 In this activity the students should be able to work together to figure out what part of the plant is missing and draw conclusions about how the plant will be affected. Teach your students how parts make up a whole with this series on examining the parts of a plant. The lessons can be modified to be used with students from Kindergarten to Second Grade. Do All Plants Have the Same Parts?